FRIDAY OCTOBER 19th, 2018 - ONE DAY ONLY! Data Bootcamps for All: No experience necessary! Between hacking, meals, speakers and more Huntsville Space Apps will be a busy event. But . . . do not worry, check our handy schedule for all the events! Huntsville's Legacy of Aerospace: Past, Present, & Future. 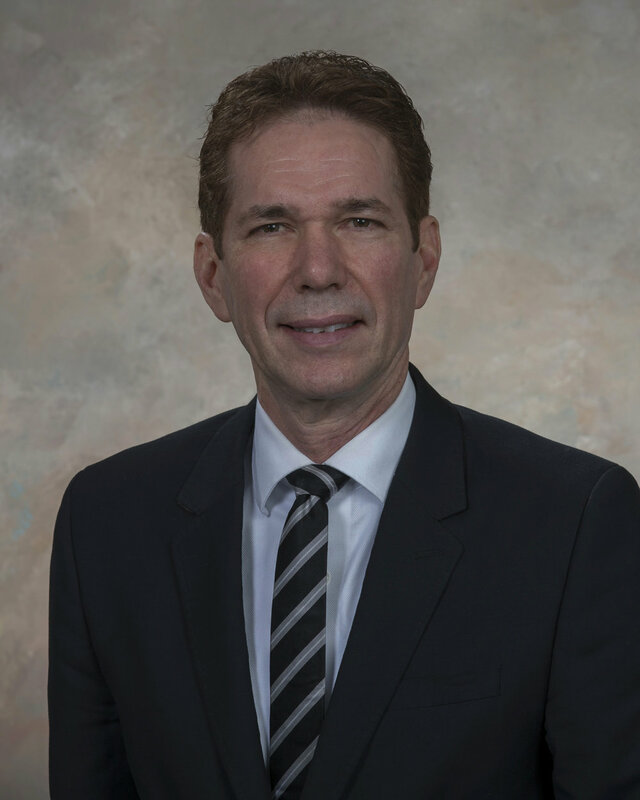 Dr. Paul K. McConnaughey is the associate director, technical, in the Office of the Center Director at NASA’s Marshall Space Flight Center in Huntsville, Alabama. Named to the position in August 2015, McConnaughey is responsible for ensuring the performance of Marshall’s programs and technical activities, with respect to cost, schedule and mission success. Originally from the Midwest, he earned his bachelor’s degree from Oregon State University in Corvallis, and his master’s degree and doctorate from Cornell University in Ithaca, New York. After earning his doctorate, McConnaughey spent three years as a professor of soil physics and mathematics at Mississippi State University in Starkville. He joined Marshall in 1986 as an engineer in the Systems Dynamics Laboratory, where he advanced quickly through supervisory positions and in 1998 was named the chief of the fluid dynamics division. In 1998, McConnaughey was named NASA’s deputy manager for the Military Spaceplane Technology Office, where he worked on space vehicle technologies of joint interest to NASA and the U.S. Air Force. McConnaughey held various leadership positions of increasing responsibility, and in 2007 was selected as Marshall’s chief engineer. He then served as the director of System Engineering and Integration and the chief engineer of the Exploration Systems Development Division at NASA Headquarters in Washington where he oversaw the integration of the Space Launch System, Orion spacecraft and Ground Support Development and Operations programs. For his service to NASA, he has received three NASA Exceptional Service Medals, a NASA Outstanding Leadership Medal, a Center Director’s Commendation and a Certificate of Appreciation. McConnaughey also received the Presidential Rank Award for Meritorious Executive in 2011, the second-highest award conferred by the president of the United States. McConnaughey has three daughters -- Shannon of Seattle, Washington; Kelly of Browning, Montana; and Tracy of Auburn, Alabama -- and resides in Huntsville, with his wife Angie and their two dogs. Adam M Hott, EdD began his love for genetics at 10 years old in a small, Illinois elementary school. He earned his bachelor’s degree from Ball State University, his master’s degree from the University of Cincinnati, and his doctorate of education in biology from Ball State University. He spent four years as an adjunct faculty at Ivy Tech Community College in Muncie, Indiana and two years as an assistant professor of biology at Southern Connecticut State University where he was the life science education certificate coordinator. His research has focused on outreach in genetics education at the public and undergraduate levels as well as digital delivery mechanisms for genetics education. He is now employed by the HudsonAlpha Institute for Biotechnology in Huntsville, Alabama as the Expanding Solutions Expert and Digital Applications Lead where he is responsible for the global expansion of HudsonAlpha’s educational programming and various digital education efforts. In his 10 years at HudsonAlpha, he has worked on building online serious games, online interactives, educational apps, videos and animations. His work on HudsonAlpha’s iCell app led to Apple featuring it as a top 10 education app and his work on the serious game Touching Triton led to the game being a finalist in the I/ITSEC Serious Games Showcase and Challenge. The HudsonAlpha Educational Outreach team reaches more than 1.2 million students of all ages around the globe each year. Mr. Vick has 12 years of veteran work experience at the U.S. Space & Rocket Center. Mr. Vick serves as Manager of Museum Education and STEM Outreach. His focus is on museum educational guest experience, curriculum development, and live/digital STEM programming for pre-kindergarten to post-secondary informal education. In Mr. Vick’s downtime, he enjoys reading alongside a good cup of coffee, seasonal gardening, hiking Monte Sano Mountain, and chilling with his cat, Miss Phio. Dr. Erika Navarro is an on-camera meteorologist and storm specialist for The Weather Channel. She provides weather analysis during severe weather events, including hurricanes, winter storms, and tornadoes. Erika received her Ph.D from the University of Washington, Seattle, with a focus in tropical cyclones. For her Ph.D. thesis, she utilized numerical weather prediction to evaluate how changes in solar radiation from daytime hours to nighttime affect overall hurricane intensity. Erika received her M.S. from the University of Washington, Seattle, developing an improved method for incorporating storm-scale observations into hurricane forecasts. She received her Bachelor of the Arts degree at Wellesley College, with a focus in both Physics and Spanish studies. Dr. Timothy Lang is a Research Aerospace Technologist working in the Earth Science Branch at NASA Marshall. He has worked at NASA since 2012, but he first started doing Earth Science research back in 1995. His research focus is on atmospheric convection, especially clouds, precipitation, lightning, and winds. He has specific experience with the following NASA missions: Tropical Rainfall Measuring Mission (TRMM), Global Precipitation Measurement (GPM), Lightning Imaging Sensor (LIS), Geostationary Lightning Mapper (GLM), RapidScat, and Cyclone Global Navigation Satellite System (CYGNSS). He has been involved with over 20 Earth Science field campaigns, and has contributed to or published over a dozen open source software projects that facilitate Earth Science research. Mariana Scott is a project manager and senior atmospheric scientist for the Defense Applications Branch at CFD Research in Huntsville Alabama. Her primary responsibility is to lead a team that focuses on the impacts of weather and aerosols on systems in the battlespace, applying research findings to assist engineers, testers, and the Warfighter in environmental-based decisions. Mariana earned her Master’s degree in Atmospheric Science from the University of Alabama in Huntsville (UAH) in 2010, where she worked as a research scientist until 2013 before transitioning to the private sector. In 2007, Mariana earned her Bachelor of Science Degree in Earth Sciences with an emphasis in Meteorology and her Bachelor of Arts Degree in Mass Communications with an emphasis in Telecommunications from the University of Northern Colorado. Mariana has recently earned a Project Management Professional (PMP) Certification from the Project Management Institute (PMI), and is the secretary of the Huntsville Chapter of the American Meteorological Society. Visit the Space Apps Expo: Trade Show & Career Fair. Lunch is provided. Terry Taylor serves as the Manager of the Technology Transfer Office at NASA Marshall Space Flight Center in Huntsville, AL since January 2012. Prior to this assignment, Mr. Taylor worked as a branch chief, deputy division chief, project manager, and systems engineer on several NASA programs including the Ares I Launch Vehicle, X-37 reusable space plane, and multiple technology development programs since 2000. Prior to joining NASA, Mr. Taylor worked as a systems engineer on several missile defense programs (Arrow, Terminal High Altitude Area Defense (THAAD), and Ground Based Midcourse Defense (GMD)) for the U.S. Army Space and Missile Defense Command in Huntsville, AL. Mr. Taylor received NASA’s Exceptional Service Medal in 2009 and the NASA Exceptional Technology Achievement Medal in 2014. He earned B.S. and M.S. degrees in Aerospace Engineering from Mississippi State University in 1990 and 1992. Trey Cate - Hugh C. Cate III, (Trey), is the Deputy Manager for Strategic Communication for NASA’s Space Launch System. He has over 25 years of experience in the fields of Public Affairs, Public Relations, Media Relations, and Strategic Communication planning and execution. He is a retired Army Public Affairs Officer and his previous communication experiences include: CEO of a Strategic Communication Firm; Director of Strategic Communication for a billion dollar Defense Contracting Corporation; Senior Government Consultant for an International Public Relations firm; Media director for the United States Central Command and Public Affairs Officer for the Kosovo Force as well as the 101st Airborne Division during Operation Iraqi Freedom, among others. He graduated from the United States Military Academy in 1987 with a Bachelor of Science Degree in Mechanical Engineering, the University of Alabama College Of Communication with Masters of Arts in Journalism in December, 1995, and from the University of Tennessee Knoxville with an Aerospace and Defense Masters of Business Administration in December of 2017. Emily Trapani is a Regional Sales Manager of Real Estate Partnerships at Google Fiber where she manages the relationship between Google Fiber and its partners, including developers, equity partners, investors and property managers throughout the southeast. Emily also manages small and medium business strategy for Fiber and is an instructor for “Grow With Google” and “Get Your Business Online” and an #IamRemarkable facilitaor. Prior to joining Alphabet in 2015, Emily was a strategic account manager and business development manager at Sprint Inc. Based in Nashville, Emily negotiated partnerships between Sprint and enterprise clients and developed business models for the monetization of connected devices particularly in the biomedical, retail and professional services space. Prior to moving to Nashville in 2013, Emily was based in Charlotte, North Carolina where she was the recipient of the Solutions Engineering Partnership Award for her work in geomatic application development. She was also honored as a Standout Charlottean of The Year by The Cystic Fibrosis Foundation and was named Top 30 under 30 by the Charlotte Business Journal. Emily is a member of the programming committee at ULI Nashville as well as WLI, the Women In Leadership Initiative committee within ULI Nashville and is involved with many organizations that encourage STEM among young girls including Play Like A Girl!. Emily lives in Nashville, TN with her husband Dr. David Trapani, their 3 young children Isla, Demi and Harrison and their dog Ruby, a 140 lbs bullmastiff. Tia Ferguson is the Director of the Space Systems Department in the Engineering Directorate at Marshall Space Flight Center. She is responsible for development of hardware for human space flight, science, and exploration initiatives, with over 600 civil servants and contractors and an annual budget of over $110 million. She earned a bachelor’s degree in mechanical engineering from Tulane University and a master’s degree in electrical engineering from the University of Alabama in Huntsville (UAH). She is a Professional Engineer and holds a U.S. Patent. She is a member of AIAA, Redstone Toastmasters, and Land Trust in Huntsville. Tiffany Russell Lockett is currently the Project System Engineer for the Near Earth Asteroid (NEA) Scout flight mission. The spacecraft will launch on the maiden voyage of NASA’s new Space Launch System and take pictures of a nearby asteroid using a solar sail for primary propulsion. Her responsibility is the overall architecture of the flight mission by coordinating with the launch vehicle, science team, spacecraft engineers, and project management. The team comprises of multiple discipline experts from NASA Marshall Space Flight Center, NASA Langley Research Center, and the Jet Propulsion Laboratory. She was also the co-principal investigator with Dr. Jeremy Munday on a technology development research project titled “Propellantless Attitude Control of Solar Sail Technology Utilizing Reflective Control Devices,” sponsored by NASA’s Space Technology Mission Directorate, Small Spacecraft Technology Program which recently concluded in September 2017. Mrs. Lockett is a 2006 graduate of Notre Dame of Maryland University with a Bachelors in Physics and a 2008 graduate of the University of Maryland with a Bachelors in Aerospace Engineering. She started at NASA Goddard Space Flight Center in 2006 as an intern on the James Webb Space Telescope project and transferred full-time to Marshall Space Flight Center in July 2008 to work on the Constellation rocket called Ares I. She completed a three month detail to the Materials and Processes Laboratory at Kennedy Space Center in 2009 in support of the International Space Station, Space Shuttle operations, and the Launch Services Program. Mrs. Lockett is married to Melvin Lockett Jr., an Assistant District Attorney for Madison County and they live in Huntsville, AL with their dog, Vandie. Dr. Bill Cooke is the lead of NASA's Meteoroid Environment Office. He specializes in the meteoroid environment and its effects on space vehicles of all sorts. While a graduate student at the University of Florida, he worked on instruments flying on board balloons, the Space Shuttle, Giotto (European mission to Halley's Comet), and LDEF. After obtaining his PhD, he came to work at Marshall Space Flight Center as a member of the Space Environments Team. He is a recipient of a NASA Exceptional Service Medal and a Silver Snoopy Award, and has just been accepted as a member of the International Astronomical Union. A 9 km main belt asteroid, (15058) BillCooke, is named after him. Dr. Jessica Gaskin currently works in the NASA MSFC Astronomy Group and is the NASA-appointed Study-Scientist for the Lynx (formerly X-Ray Surveyor) Large Mission Concept Study. This mission concept will be considered in the 2020 Astrophysics Decadal Survey, as a candidate mission that would launch after JWST and WFIRST. The majority of Dr. Gaskin’s NASA career, over a decade, has been in the design, development, and implementation of instrumentation for high-energy astrophysics for both large- and small-scale payloads. As Principal Investigator for the High Energy Replicated Optics to Explore the Sun (HEROES) and SuperHERO balloon-borne payloads, Dr. Gaskin has even viewed the X-ray universe from 40-km above the Earth’s surface. Dr. Gaskin also enjoys developing instruments for Planetary applications and is currently the Lead for the development of a miniaturized scanning electron microscope for Mars. In her spare time, she is Associate Editor for the Journal of Astronomical Instrumentation, World Scientific, International Publication and a member of NASA Balloon Working Group. She actively participates in NASA review panels and enjoys supporting NASA-community service efforts whenever possible. In addition, Dr. Gaskin enjoys mentoring students of every age. She has overseen multiple NASA Academy and Robotics Academy students, and has mentored an Undergraduate Research Instrument Program team. She is and has been advisor to multiple Ph.D. students and has spoken at middle schools and to large groups of students, often with a focus on women in STEM fields. Outside of work, she spends her time with her husband and 3 sons Yu-Gi-Oh! dueling and Monster slaying. Join us for the Space Apps Challenge Meet & Greet! Here you can mingle with challengers looking for a team, meet actual rocket scientists, and expand your knowledge with our Data Bootcamps. All Data Bootcamps will offer free workshops for beginner and intermediate coders with practical Hackathon guidance, resources & support. A native of Woodstock, Ala., Robert Champion, the 31-year-NASA veteran is the Deputy Director of the Propulsion Systems Department at Marshall Space Flight Center. His department is responsible for the delivery of the propulsion systems for the Space Launch System, providing design support for NASA’s Commercial Crew program, and managing NASA’s capability in Chemical Propulsion. Raeley is “that millennial” with an Instagram account for her child and her dog. She has a heart for local businesses and enjoys empowering them through Instagram coaching and photography. For her, photography isn't about just getting a beautiful shot, it's about finding and sharing a positive authentic story to draw people in. Githika Tondapu is working as a Software Developer for NASA-SERVIR. She has multiple years of experience in software development and is interested in technological advancements. Outside work, she loves spending time with family and friends. Emily Adams has had a passion for science her entire life. Her interests include wetlands ecology, land use land cover change analysis, short term weather prediction, and bridging the gap between science and society. She currently serves as the Eastern and Southern Africa Science Coordination Lead at the SERVIR Science Coordination Office. Matt Brooks is a software developer by trade and currently serves as the Director of Innovation Services at Urban Engine. 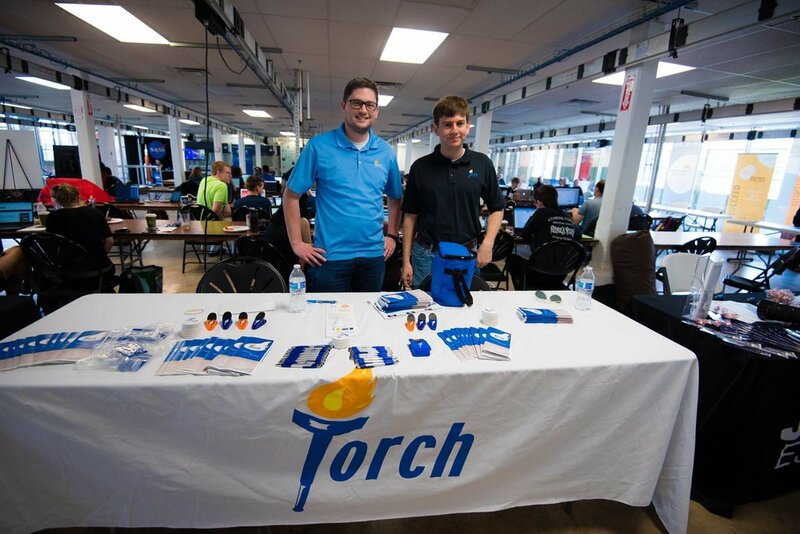 He enjoys organizing hands-on workshops and innovation challenges such as Space Apps Huntsville, The MBUSI Innovation Challenge, and Hudson Alpha Tech Challenge (HATCH). Daniel O’Neil is a civil servant at NASA’s Marshall Space Flight Center in the Office of Strategic Analysis and Communications. He has three decades of experience in computer modeling, simulation, data visualization, and 3D computer graphics. Currently, Daniel is a computer science doctoral candidate in modeling and simulation at the University of Alabama in Huntsville. He is the challenge owner of the 1D, 2D, 3D, Go! challenge and a subject matter expert supporting the Virtual Space Exploration challenge. Joe is a programmer, author, and amateur astronomer. He owns the Java experience at Heroku, a cloud platform for web apps of all kinds. Board member for WeRockIT Conf, WWCodeHSV core member, and software engineer Marcia Ensley lives for tech outreach and STEM education. She leads the Python 101 seminar for the Space Apps data bootcamp and teaches the Rock the Talk speaker development series at Urban Engine's CoWorking Night Huntsville. Michael Carroll is a software engineer for Open Robotics based in Huntsville, Alabama. He received his B.S. and M.S in Electrical Engineering from Auburn University. Michael is a regular contributor to various open-source robotics projects including the Robot Operating System (ROS) and the Gazebo simulator. Michael also serves as the chair for the non-profit Urban Engine, who's mission is to promote millennial entrepreneurship and help people "propel ideas forward". When he is not protecting the world from the inevitable robot uprising, he enjoys tending to the garden with his three children, trying out new Huntsville beers, and watching Auburn football. James (J.) Langley is the Chief Technical Officer at CohesionForce. Mr. Langley provides technical guidance for research and development activities and client projects. With over 17 years of experience with software development that covers a wide variety of languages, platforms, and methodologies, he has developed a reputation for technology insertion on DOD/MDA programs. An avid open source supporter, Mr. Langley has contributed to projects in the Eclipse and Apache Software Foundations.